Isometric drawing is a three dimensional drawing method that works with a group of three parallel lines set at 90 and 30 degrees to the horizontal. 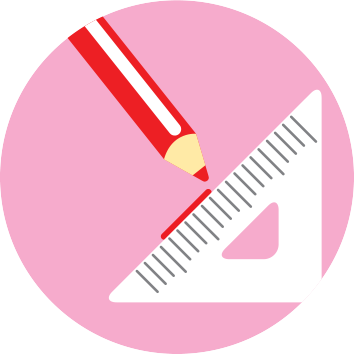 It is a convenient drawing system because unlike perspective drawing, it enables the illustrator to calculate real measurements in any axis, including on receding planes. Isometric drawing uses your 30/60 degree set square. Isometric drawing is the three dimensional drawing method for industrial design. 1 - What is isometric drawing? Here is a simple isometric I did for my Year 9s and rendered in Adobe Illustrator. 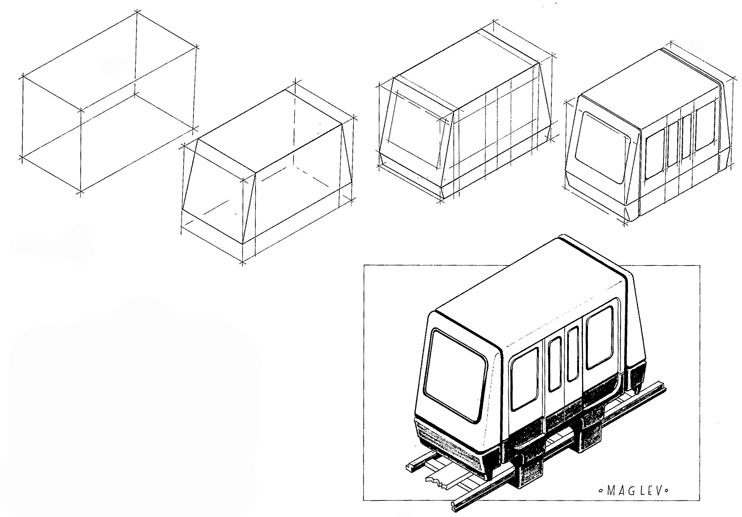 An isometric projection belongs in the group of drawing methods called 'axonimetric' drawings. It is also called a 'paraline' drawing because it uses three groups of parallel lines to construct it. 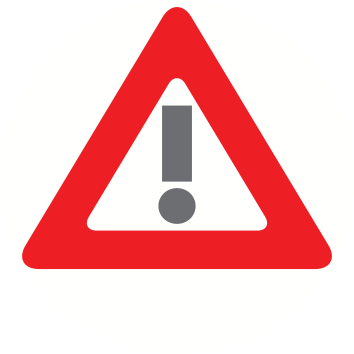 Isometric drawings are set at 30 degrees to the horizontal and use a 30/60 degree set square. 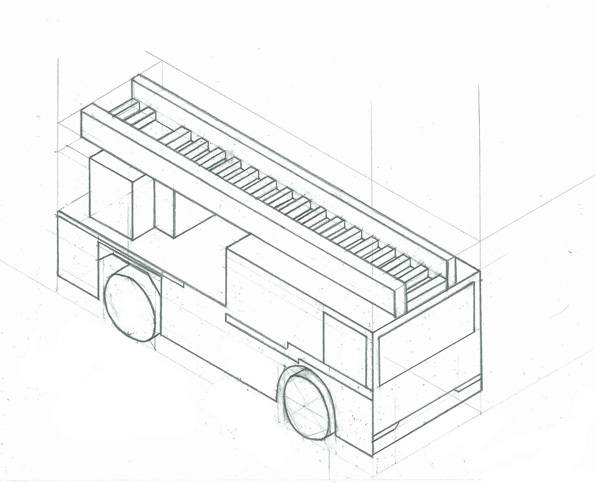 Isometric drawing is a projection. This means that the planes of an object are projected onto three sloping planes. The best thing about Isometric drawing is that each plane is in the same angle relative to the 'picture plane'. What does that mean for us? 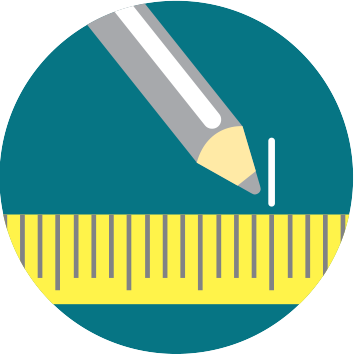 This means that because each view has the same amount of distortion (actually 'shear'), we can measure the length, width and height of things using real measurements. We can set up our drawing using the same measurements we used for a 3rd Angle Orthogonal drawing. 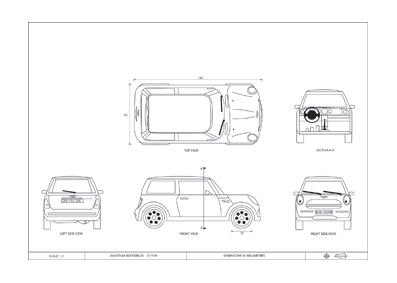 Being able to set out a drawing with real measurements is fantastic for students and designers, because when we want to test our ideas for product designs, to see how they would look if constructed, we can do it with certainty that the view is realistic. Watch as I complete a simple isometric projection of a couple of Lego bricks. (This video also contains instructions on rendering). The best way to do great isometric drawings is to understand the object you want to draw really well. To do complex isometric drawings you have to do a full 3rd Angle orthogonal drawing to establish the sizes of each component. See below for some Year 11 work showing a Mini in both 3rd Angle orthogonal and isometric projections. Make a full 3rd Angle orthogonal to understand your object well. 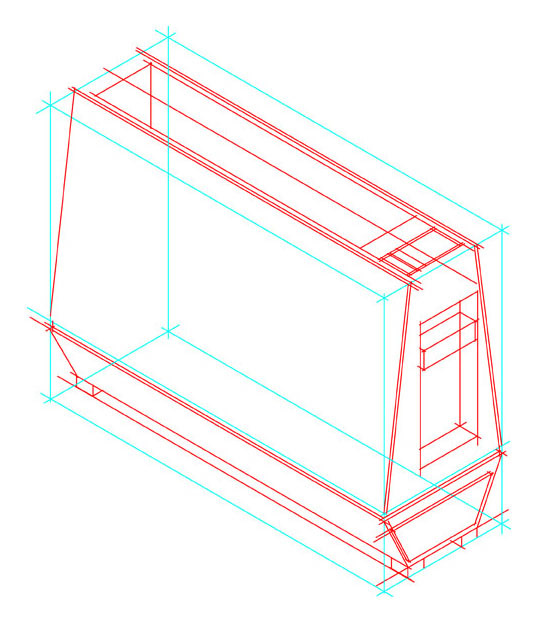 Then you can crate and draw your isometric view accurately. 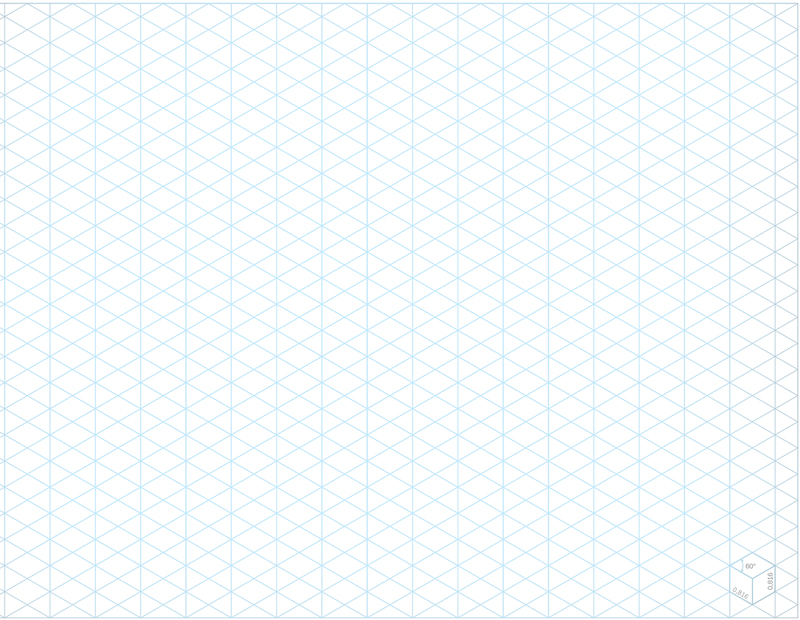 To practice freehand isometric drawing skills, download and print this isometric grid I made. Draw your first draft using the lines to keep things at 30 degrees from the horizontal. 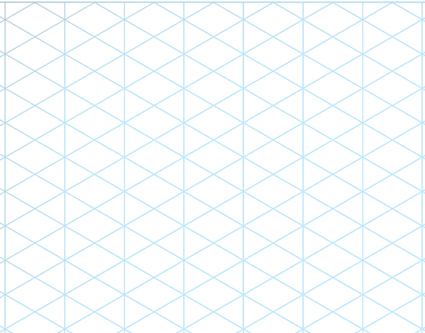 Click on the image to download your own copy of this isometric grid. 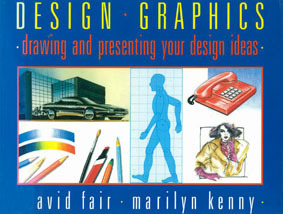 I found this great exercise in a text book called 'Design Graphics' by Fair and Kenny. It demonstrates clearly how we need to begin with a 'crate' for an object first. 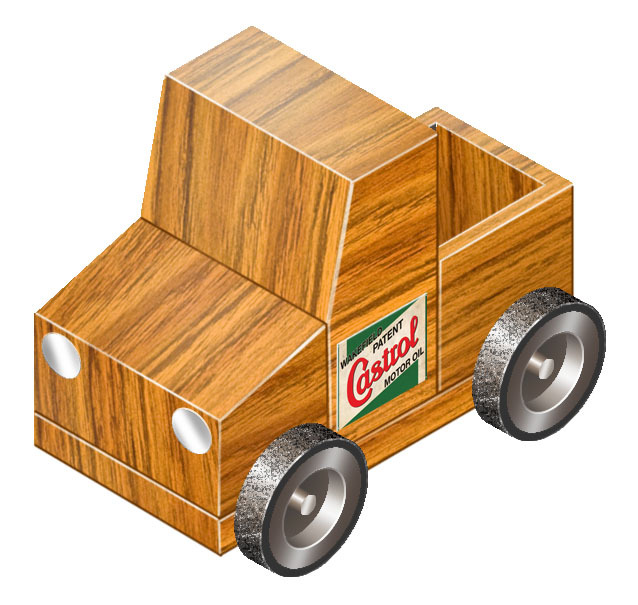 The best way to understand the term crate is to think of it as a box you would get a toy in. This means the crate will be exactly the length, width and height of the object inside it. Start with your 'crate'. Measure off the slop of the front and back on the sides. Then plot the points you need. 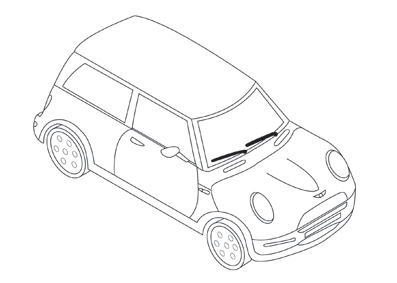 An extension of this task is to try to make the little car taper on the width as well as the length. Can you do it? Here is the cover of this great little text book. Consider the following drawing. The crate is shown in blue and the finished drawing is shown in red. When you are drawing your crate, make sure you draw all the lines, even the ones at the back you think you won't need. 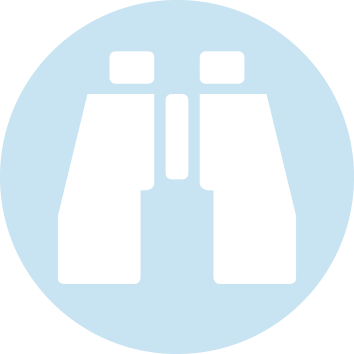 These are needed as you will need to measure from hidden points to calculate the position of features of the object. The crate is shown in blue. Note, I have drawn the back lines of the crate bottom. The final drawing is shown within the initial crate. Wheels in isometric are drawn as ellipses where their major axis runs at 60 degrees to the horizontal. Follow the images below to learn how to construct these simple wheels. 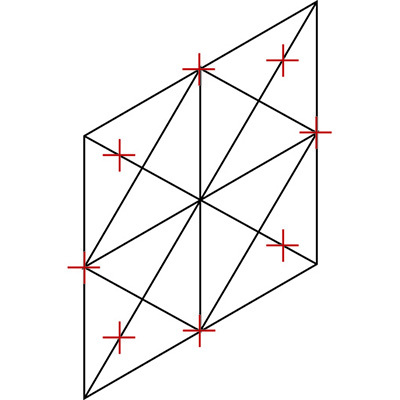 Circles appear as ellipses in isometric projections. An ellipse is a kind of oval. We have to draw them with the correct proportions between the long and short axis (length and width) and align them at the correct angle from the horizontal in our drawings. To begin making a wheel, draw a square in isometric view. Then note the places where you ellipse will touch the square, or cut the main diagonal lines. Join the points with one flowing curved line to make the ellipse. To turn it into a wheel, project back and create another square behind the first. 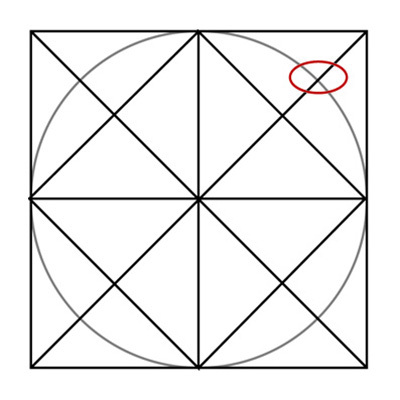 Complete the square with all ellipse construction lines and the ellipse. Heavy in the lines you need. To make details draw more squares and construction lines. Heavy in or trace your work to finish the wheel. As you move onto more complex drawings you will want to use an isometric ellipse template. These can be especially useful in tests. However, you must take care to learn how to align the small lines to the axes of the ellipse. It might sound like a long way around, but you still need to draw the square to calculate axes before you apply the template. 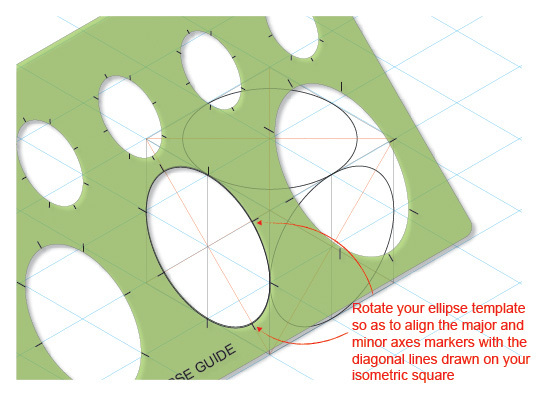 Note correct alignment of your template when drawing ellipses in isometric.